As part of the continued Jolt Your Journey branding effort by the City of Farmington to position the community as a place where outdoor lovers and active families thrive, Once a Day Marketing was contracted to produce a new brochure that highlights the play, live and work benefits of the town. The company created the concept, crafted the narrative, sourced the images, and worked with the graphic artist to complete final design and layout. 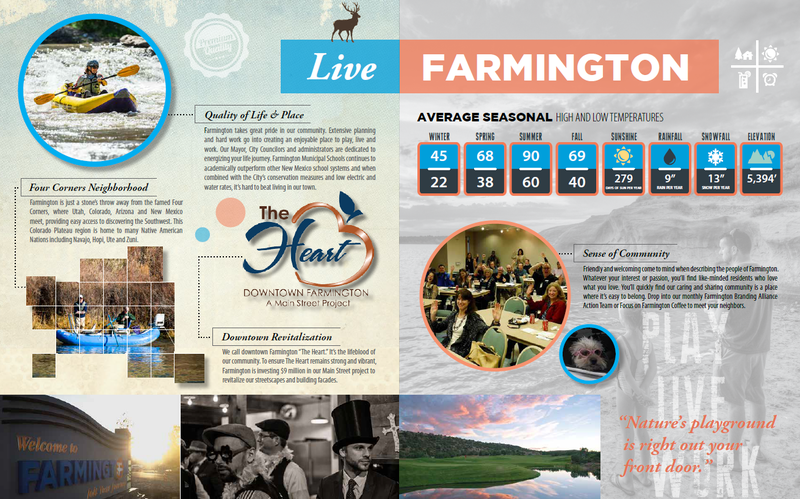 For the past two years, Once a Day Marketing has provided strategic branding support to the City of Farmington to develop a thriving outdoor recreation industry by offering more outdoor experiences and attracting new guides, outfitters and equipment gear manufacturers. 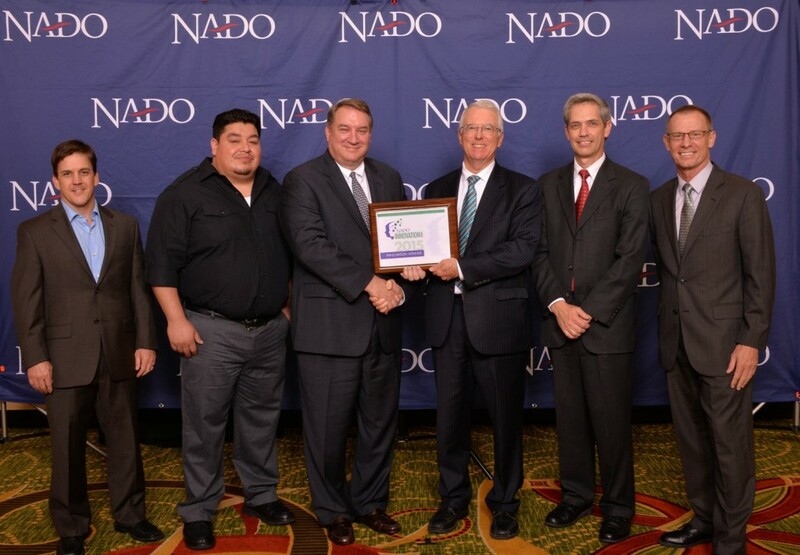 Branded as the Outdoor Recreation Industry Initiative (ORII), Once a Day Marketing will continue to guide City efforts to further develop outdoor recreation in the community. Positive Energy Solar, a New Mexico-based solar installer, has joined the SunPower® Master Dealer network, a strategic partnership program designed to deliver global solar expertise to local communities through leading independent solar installers. SunPower carefully selects its Master Dealers, awarding the distinction only to installers that consistently put customers first and deliver the superior SunPower experience at every step of a customer’s unique solar energy journey. James Glover and Once a Day Marketing was excited to produce this video for the big announcement. Those Branding Guys James Glover and Dave Hayduk were at it again encouraging Santa Fe area contractors and homebuilders to brand bold. Several local builders were on the couch to discuss their branding priorities, strategies and tactics. The New Mexico Association of Regional Councils (NewMARC) received a 2015 Innovation Award from the National Association of Development Organizations (NADO) Research Foundation for The Ristra Project. The Ristra Project was conceived by the New Mexico Association of Regional Councils (NewMARC) during the development of the New Mexico Statewide Comprehensive Economic Development Strategy (SCEDS) using the U.S. Economic Development Administration’s updated content guidelines. 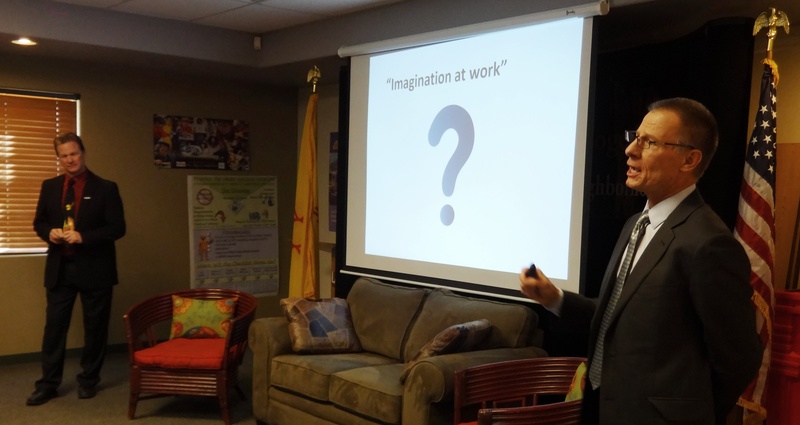 The Ristra Project is New Mexico’s first statewide, integrated system to empower and assist all community and economic development leaders to better plan, manage, and measure growth and prosperity. The project has led to the development of a tool to capture, coordinate, and communicate all development initiatives in a centralized, easy-to-use online database. Glover, that branding guys, supported the development of innovative strategic planning process and also created the Ristra Project brand for NewMARC. James Glover, that branding guy, and David Hayduk, that other branding guy, put brands on the couch at their recent Those Branding Guys branding event hosted by Friday Networking Lunch at the La Posada. With over 80 people in attendance, Those Branding Guys shared what is a brand and branding, and why branding is so important today. They also encouraged everyone to Brand Bold. 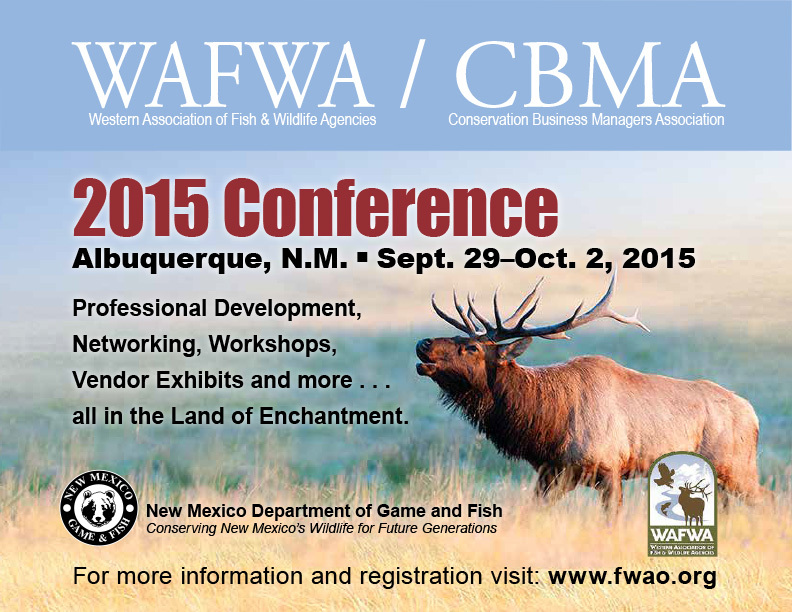 James Glover, that branding guy, and David Hayduk, that other branding guy, facilitated two branding workshops at the National WAFWA/CBMA Game and Fish Conference in Albuquerque, NM. 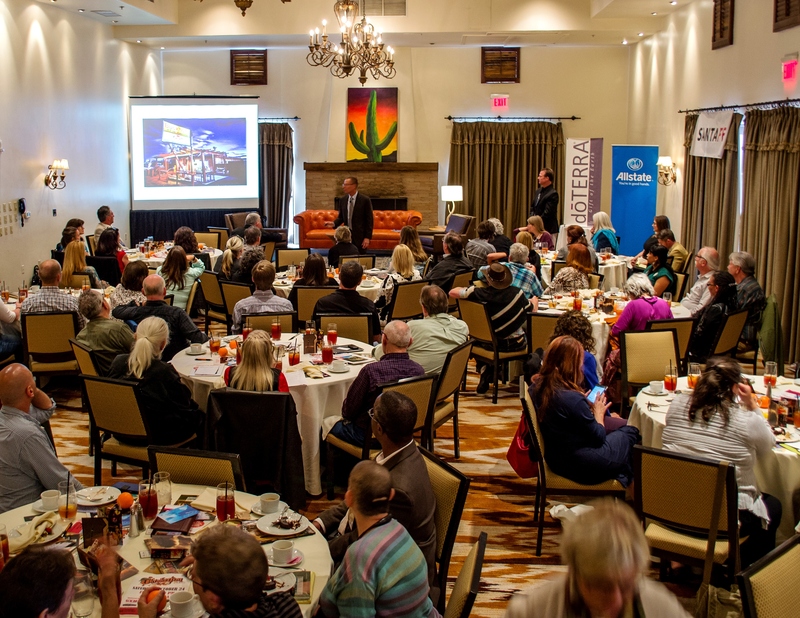 The event, hosted by the New Mexico Department of Game & Fish, was a huge success and it was fun to see game & fish professional understand the meaning of branding and how it applies to their agencies. 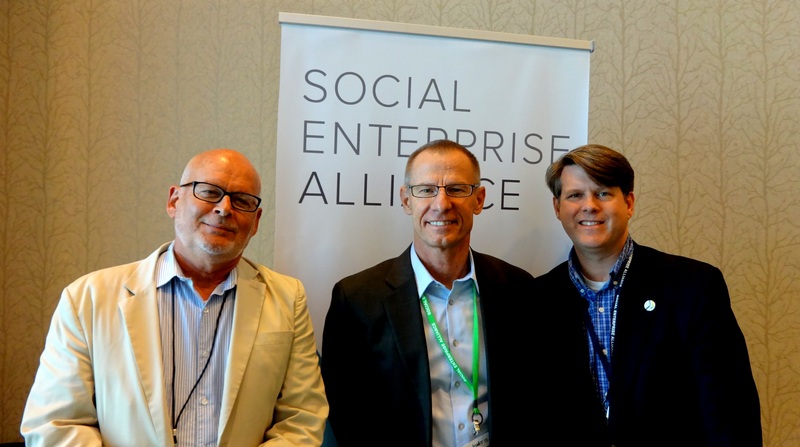 James Glover was a panelist at the recent Summit15/Social Enterprise Alliance Conference in Denver, CO. Social enterprises are growing, and the need for social enterprise is growing too. Most of the best known entities are in urban areas. Glover, along with fellow panelists Paul Wright of MACED and Russel Kaney of Enterprise Community Partners, involved the audience in a discussion and introduced social enterprises doing great work in smaller communities and rural environments, including in Native American, farm worker and other marginalized communities. James Glover had the opportunity to lead an informal branding discussion with Santa Fe’s entrepreneurial community at the StartUp Santa Fe OpenCoffee. Attended by a wide range of business owners and managers looking to enhance their brands, Glover shared a variety of topics including brand identity vs. brand image, 7Ps of Marketing, BrandOld vs. BrandBold, social media/inbound marketing, reinventing a brand, and the marketing ecosystem. Coffee and donuts were most excellent as well! 5 Star Burgers is a regional gourmet burger establishment located in New Mexico, Colorado and Missouri. James Glover created the concept, wrote, directed and produced four 30 sec. commercials that are now in rotation on local network affiliates. Still images were used instead of video to create a unique visual look for the restaurant and to emphasize the great restaurant experience at 5 Star Burgers.